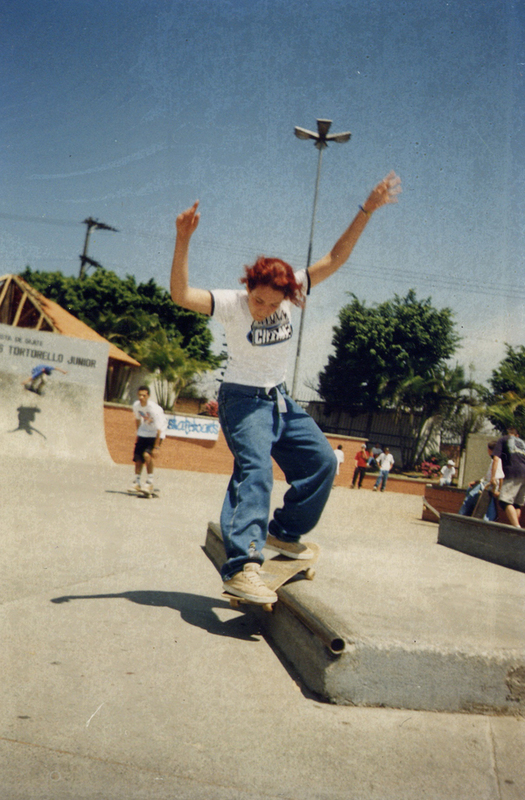 Ana Paula has been a major player in the female skate scene since the early 90’s. Her hard work and dedication have allowed her to travel around the world doing what she loves. Get to know the woman often behind the scene. Tell us a little about your background and where you grew up. My Mom is Italian and my Dad’s Brazilian. I grew up in different states in Brazil because of my Dad’s work. 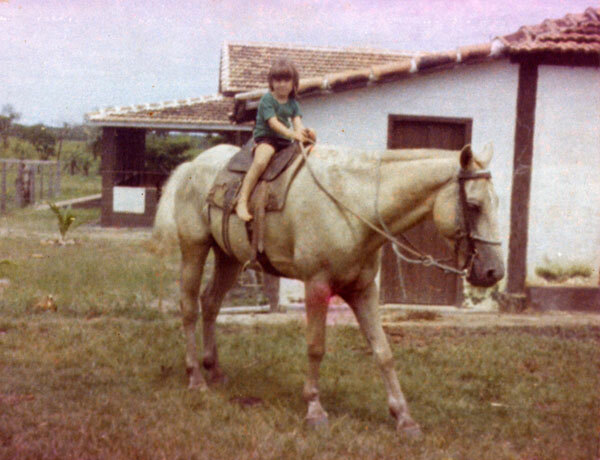 I grew up in the country most of the time until I was a teenager and my Dad settled down in my hometown Ribeirão Preto in the state of São Paulo. How did you get involved in skateboarding and photography? Which did you start first? Well, which came first the egg or the chicken? Haha, good question. My question is easier to answer…I think? My mom used to have an old KODAK EKTRALITE 10 and I was crazy about that camera, but It was the only camera we had and she wouldn’t let me take everywhere. (I understand her since she had that camera while she was growing up). 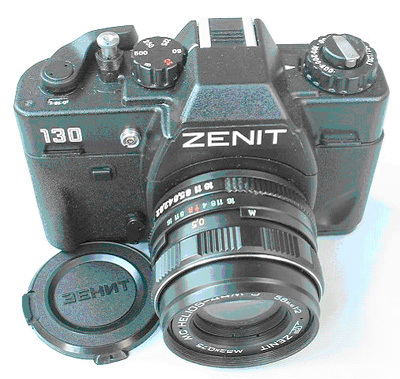 I started working very young, so when I was 16 I bought myself a Zenitt camera with money from my first job. It was some crazy Russian camera which I loved, but it was complicated to me. I used to take all kinds of photos, but none of them came out. It was so funny, so I wanted to take an amateur course to figure out how to use that camera. I did and my pictures started to show up. As for skateboarding…my neighbor used to skate and I used to hang out with all the boys in my neighborhood; play soccer, volleyball, make kites and other games. I wanted to skate so bad but IT wasn’t for girls which made me want it even more. So me and my best friend Dahabie got a skateboard and we used to share (one week I had the board the other week she had it). I think it was in 1995 my neighbor invited me to go to a skateboarding contest in a city nearby. I went but I was very shy and didn’t take my board only my camera. I took a great picture of my friend Zaninha kickflip’s over the hip and he made a shirt with my picture and told me I had the eyes for skate moments. That’s was a big incentive for me and I always loved photography and skateboarding. So I guess photography came first? and skateboarding was the incentive? Why did you make the move to the United States? I have always been fascinated with English music and the language. The first song I learned in 5th grade was “Imagine” by John Lennon. So I wanted to visit someday. Never knew it was going to be because of skateboarding. 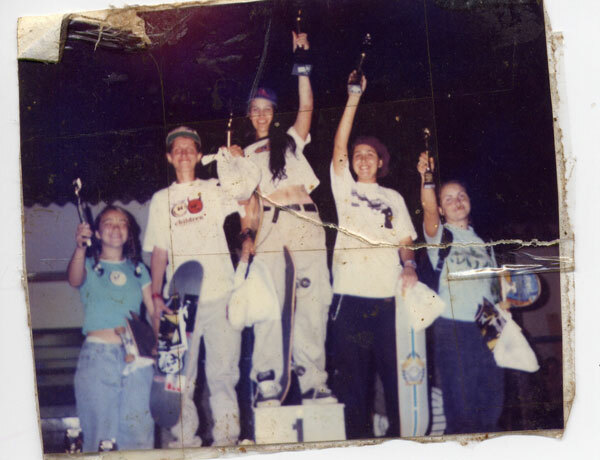 In 1998 I came to compete at the All Girls Skate Jam in Escondido, CA and stayed in San Diego, CA with my friend’s Harold and Bob. I really liked that all the street were so smooth and perfect and everything looked like a skatepark to me. I moved in 2000 just to skateboard. Who have been some of your favorite people to shoot and why? I like shooting people that want me to shoot them. I love shooting Leticia…we have a trust in each other. I like shooting with you Lisa because we always get work done together. Allison “Nugget” Matasi (we shoot great pictures on our South American Tour in 2007), Lacey Baker, Vanessa Torres, Evelien Bouilliart, Karen Jones, Xuxa, Lauren Perkins, Giuliana Ricomini, Rogerio Mancha, Biano Bianchini, Mizael Simão and so many others I can’t remember right now…but pretty much anyone who’s down to shoot. 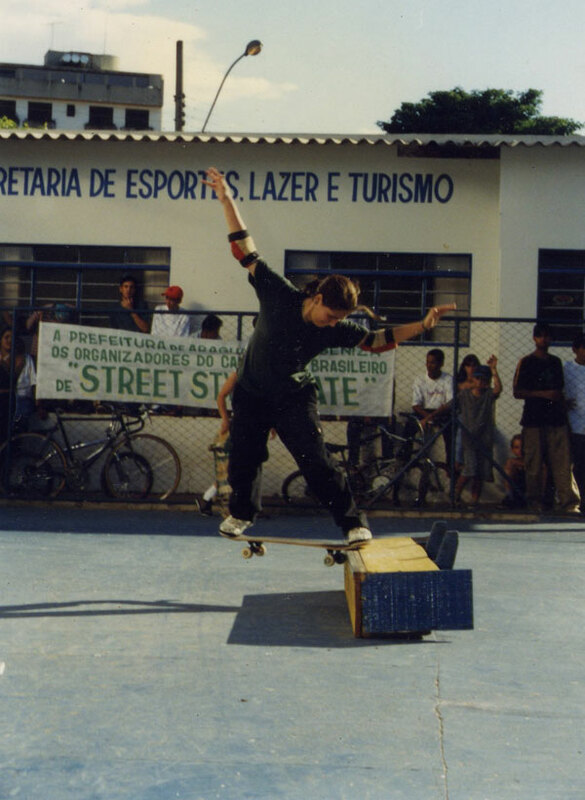 Skateboarding in Brazil was the best time of my life. We used to travel miles and miles away just to be together. We used to go to the contest producer and ask them to have a girls division and when they didn’t we used to compete with the guys. I didn’t like to compete against boys because they were too competitive and if we placed better than the guys they used to get really mad. It was just so much fun to travel all over Brazil and meet amazing people that I don’t even know if I’m going to see them again in this lifetime or if I ever going to go back to those small towns. Photography has been a great part of my life too. I have great memories, places, and people I shot. I’m not a person that cares too much about celebrities, but it was shocking to have one of the biggest Brazilian TV actors sitting in my car and spending a whole day with people I used to watch when I was little. I just have a lot of respect for them. They are like us and live like us, but it was shocking. After a while, you get used to seeing them everywhere and it became normal because it is touchable now. One of my biggest highlights was to have a show at the Brazilian Consulate of Los Angeles because it connected me to a lot of good people. What advice would you give someone wanting to get started in skateboarding photography? 5 favorite skate photos you have shot and why. 1. Dahabie Hussein: Smith grind Sao Caetano Brazil: I just love the fact that it’s one of my first girls skate pictures and it’s of my best friend. 2. 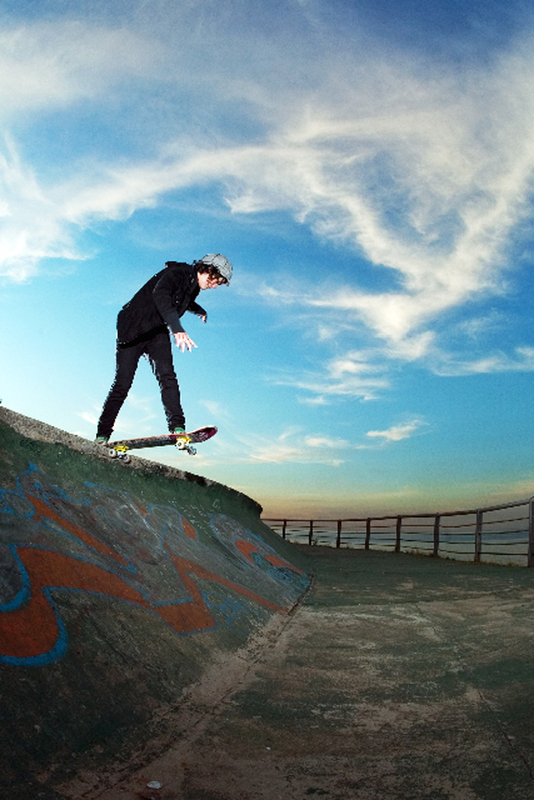 Vanessa Torres B/S tail: the place was magical sunset in the Mar Del Plata (silver river) on the border of Argentina and Uruguay. 3.Leticia Bufoni: Boardslide I like the fact she was very afraid to skate this rail and she went for it. 4. Karen Jones: This shot was used for the cover of Gorilla Magazine in Mexico City. We stopped in the middle of the night at this famous spot and Karen was the first girl to skate that spot in the city. 5. Old picture of Cara-Beth Burnside at Escondido skatepark. I like because it is part of my history here in the US. One of my first pictures in California. Favorite non-skate photo and why. 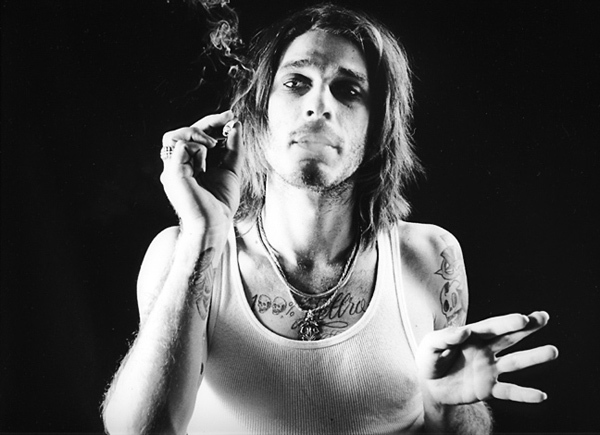 1.DJ Chavez: This is the photo that inspired me to start a coffee table still in progress. 2. 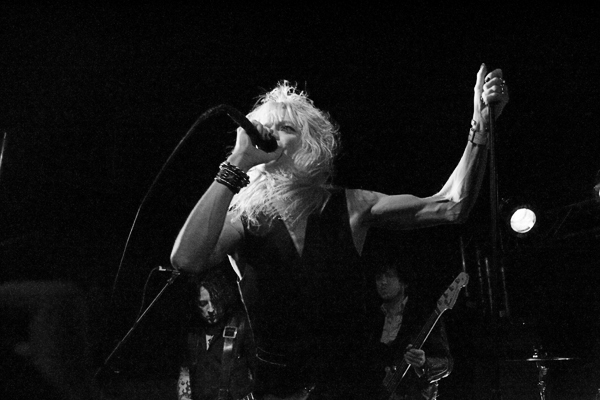 Michael Monroe’s pic is a cool band picture. 3. Mayra Gomes on the cover of a Brazilian lifestyle magazine. I love the idea that she’s a writer and sitting in a pile of book in the middle of nowhere. 4. Self-portrait – I saw that empty space and a picture filled out the blank space. 5. It’s always fun living with Leticia. One day Vanessa called me and asked if I was home and said she had a gift for us…hahaha half hour later she showed up with Charlie and left him there for a few days. We took care of him very well… Leticia’s teaching him how to fly. Annab: How did you get interested in photography and what got you started? 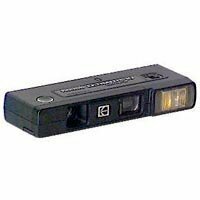 Since I was little I was always playing with my Mom’s point and shoot camera and I used to spend hours looking at the box of old pictures my mom had. In 1995 I got myself a camera. The first skateboard picture I took of my hometown friend was very inspiring because he made a shirt using my shot and was telling me I should be a photographer because I had the eyes for it. Then I started to go around and take pictures of all my friends that were skating. Nikkii: How did you and Leticia meet and end up living together? How did you end up touring and skating with Amy? I saw Leticia in 2005 when I went to Brazil with Louisa Menke from Holland. I didn’t really talk to her, but I saw how good that little girl was. Two years we went back with the Poseiden and Check It Out Tour and she was there, but this time I got to meet her Dad. He let her go on tour around Brazil with us. After that, we just helped her out to get to the X-games and to live with me. I met Amy when she was 14 or so at some contest in San Diego…a long time ago. I think we were competing in the same contest. Vanessa: I would like to know why you stopped skating? Do you still skate sometimes with Leticia or with other friends? I never stopped skateboarding. I just started skating when I was older and knew my skating was fine, but not enough to be a professional. When I do something I like to give my 100% and don’t take me wrong I love skateboarding…it’s my life, but I had to do other stuff. I think I did and I still do a lot for skateboarding. I always try to help. I do skate with the girls. My mind is always racing and I like to experiment with life in general. Beijos das skaters do Brasil, vc representa ai fora!!! I went there 2 years ago and it was AMAZING! I love ARGENTINA! I’m looking forward to going back anytime…just waiting for the opportunity. Valentina: When are you coming to Chile? I’ve been to Santiago and Valparaiso and I loved it! Hopefully, soon I will go back! Kristina: Dear Ana, will you redo my wardrobe? Steezy beezy of course my dear J.
Jamie K: Are you Leticia’s Aunt or something? Where did you get that one from? No, I’m not her aunt. She’s my sister from another mother. Sticky Icky: Umm… how old are you? Do you have an agent, and also, can you talk a little bit about your 101 Hollywood Faces Project? Old Enough. No, I don’t have an agent. 101 Hollywood Faces Project is a book I just finished shooting of 101 portraits of my friends shot in Hollywood. Thanks! Ana: Do u remember your first camera? Yeah, it was the worst piece of crap. A Zenix. It’s so funny that when I switched to Canon I was like “Whoaaa, I can take pictures now!”. Ana: Do you remember your first picture? Do you still keep it? Yeah, my first picture was probably of my family. I still have the first roll of black and white I ever shot..and processed somewhere at my parent’s house. Ana: How many cameras do u have? Well, I collect them, so I have around 25 or 30 cameras. Ana: Pics in black and white or color? I LOVE black and white. It’s just timeless and I like that. Ana: What do you do when you’re not working, taking pics or skating? I like to wander around by myself…go to thrift stores, art supplies stores, Hollywood Blvd and Downtown LA. I like playing bass and riding scooters around the city. Ana: 5 people to go out with? Liza, Leticia, Vania, Patricia and Saba. Ana: If u go to a bar, what is the first drink you order? Shot of Jameson and a Jack and Coke. Ana: How often do you go online? Way too many as of right now. I’m at the airport in Toronto, Canada on my way to Brazil for a vacation. Ana: Do you play any sports? Cup lifting…I used to do gymnastics, volleyball and I played soccer. Today I just skate and hike sometimes. Ana: Have you ever run anyway from the cops? All the time, especially on the weekends. Ana: Why don’t you like TV? Too much bad news. The world already has a lot of problems and I prefer to see more positive stuff and something that will add me something good. Ana: Top 3 movies ever. Not skate ones!! Breakfast at Tiffany’s, Pulp Fiction and True Romance. Ana: 3 things in nature you find most beautiful? Thunderstorms, the mountains, and the jungle. BG: How did you first get started in the skateboarding world and what has kept you in it? My neighbor used to skate, so my best friend Dahabie and I decided to skate. We shared a board for a couple months until we had money to buy another one. I just love the freedom of skateboarding. Bexter_Magenta: Are you related to Leticia? Bexter_Magenta: Would you ever be interested in coming to South Africa with the girls? We would love to come to South Africa. Actually, it is one of the places I want to visit in my life. ERL: What are your goals for the future with skateboarding, photography, etc? 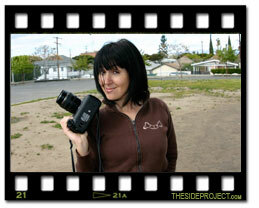 Just keep shooting and help Lisa finish The Side Project video “That’s Blogable!”. EvelynAbad: What kind of camera are you currently using right now? Chickenfingers: Weirdest thing you ever saw living in Hollywood? Some crazy lady breaking Lisa’s car window. Df: Was there anything else you wanted to do before you decided you wanted to be a photographer? A flight attendant. I wanted to travel the world. Adelita Garrido: So, what are your future plans? Brazil or USA? I don’t make plans…just living. I can’t answer that question because I don’t know. Wherever the job is. Adelita Garrido: Where did you go to photography school? I didn’t go…just took classes at Santa Monica College. Secret Admirer: Would you do the honor of taking me in marriage? Eduardo Gabriel: What do you like most about living in Hollywood? The crazy people everywhere, just very inspiring! And a lot of rock and roll bars. Eduardo Gabriel: When will ‘As Catantes’ album be released? Check out more of Ana Paula photography at anapaulanegrao.com.